Creative Bed Design is most important process in interior design. We all know generally Bed design is square in shape or round. 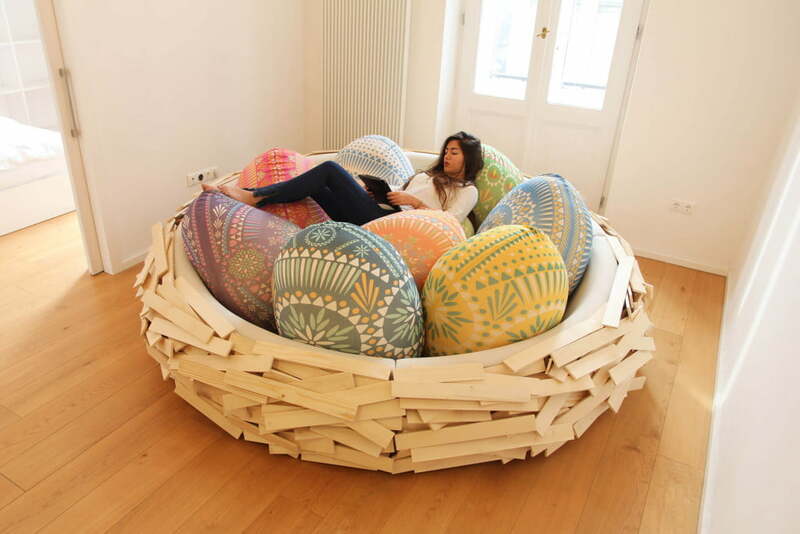 But today we see Creative Bed Design – which is inspire from the “The Bird Nest”. 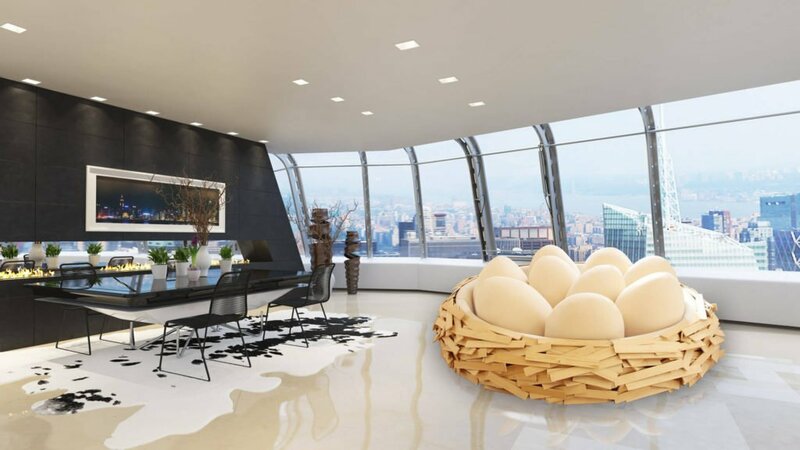 The Giant Birdsnest, make by OGE Group, can not be easily categorize. Part furniture, part playground, it is design to be functional for socializing, work and play. 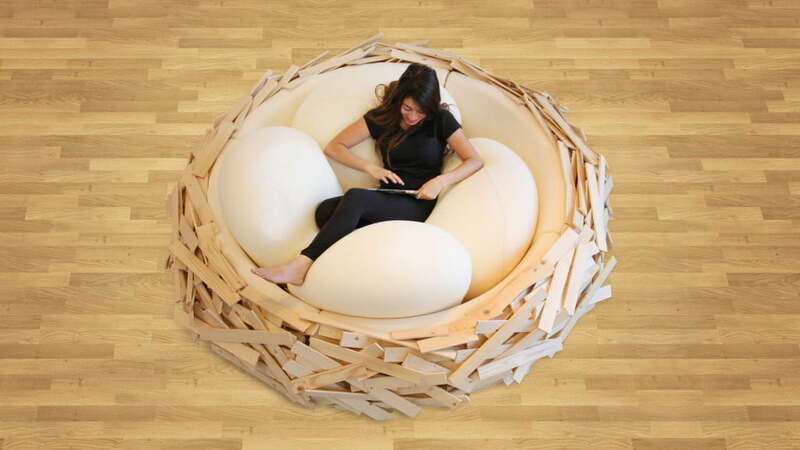 This bed design is available in four sizes, ranging from 6.5 feet in diameter (ideal for solo nesting) to 14.75 feet (which can seat up to 16). 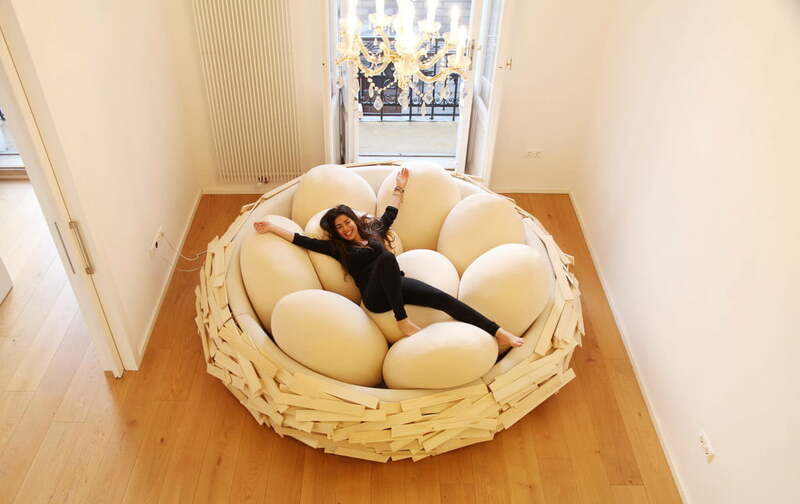 Each bed comes with five to 23 egg-shaped poufs, depending on the size of the nest. The soft eggs come in a creamy eggshell, white but it can be custom-ordered in other colors. You change color theme as per your room color shades. 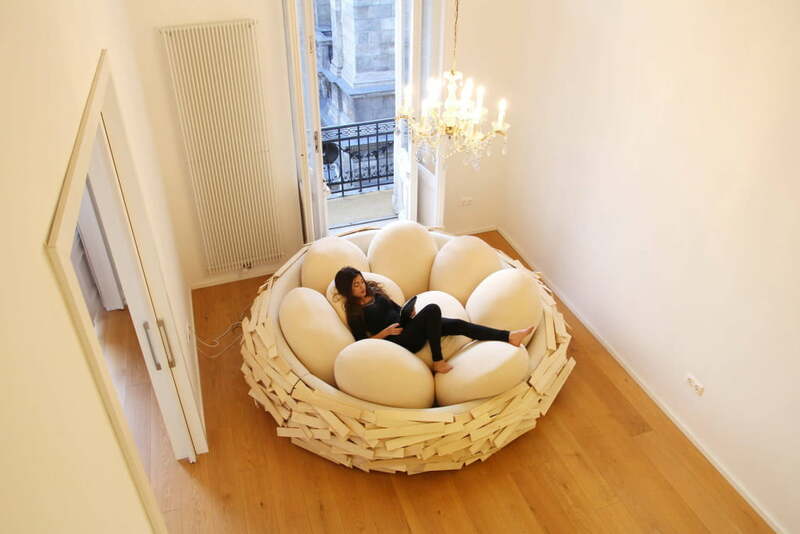 The nest itself is make from pieces of pine wood, finished to sheen with clear satin lacquer and attached by small steel pins. This type of creative bed design is not in practice for every one. There are some art interested people, who really like creative approach in their living as well as house interior. 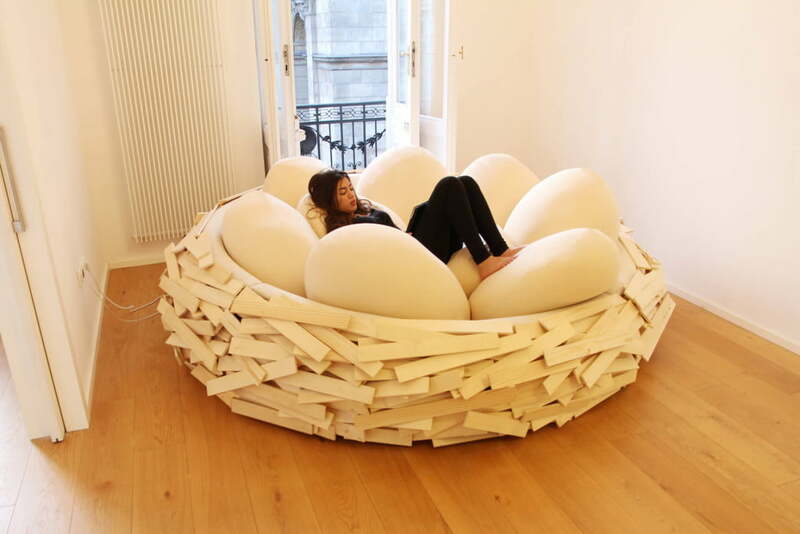 Perfect for hatching new ideas, the Giant Birds nest bed design was created as an entirely new space that rethinks socializing.